How Far is Shreeji Villas? 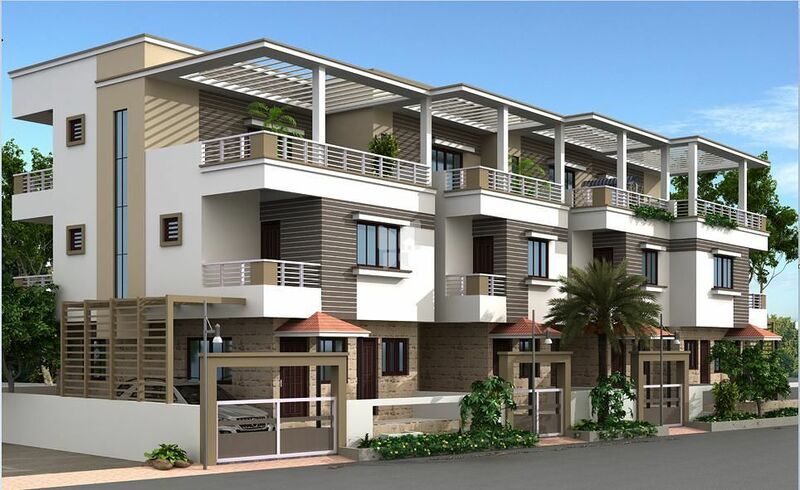 Shreeji Villa is one of the residential development of Shreeji Dvelopers, located in Vadodara. It offers spacious and skilfully designed 4BHK villas. The project is well equipped with all the amenities to facilitate the needs of the residents. R.C.C. loft will be provided in the kitchen & badrooms. Granite platform with stainless steel sink and designer wall tiles upto window level. Vitrified / Porceleno tiles flooring in the flat area. In all W/C & bath designer tiles upto 7ft. height with modern concepts. Concealed electrification with sufficient points and modular switches. Concealed plumbing with good quality wall mixture and bath accessories. ICI weather shield paint to exterior surface walls, acrylic emulsion with two coat “Lambi” finished to internal walls. Main door with attractive design and S.S. fittings, other rooms having flush door. Three track powder coated alluminium windows with mosquito net safety grill.